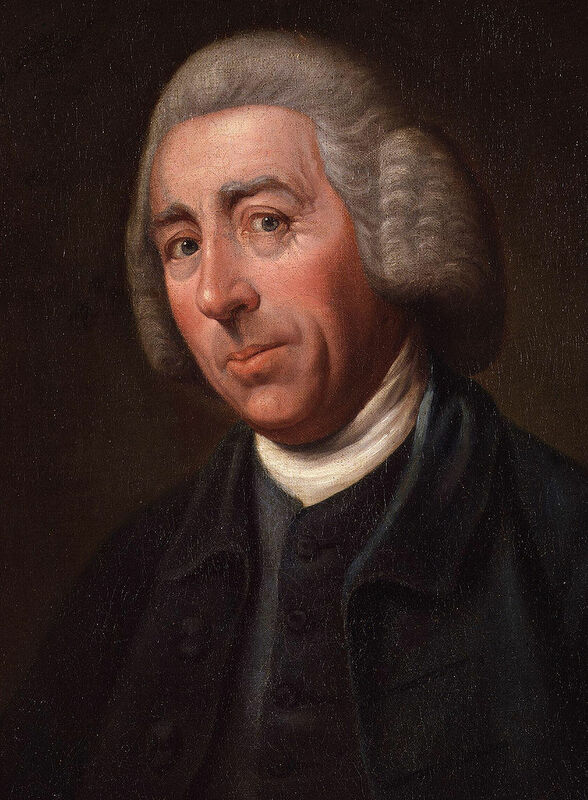 The 18th-century English landscape gardener, Lancelot “Capability” Brown was baptized on this date in 1716. His date of birth is unknown. 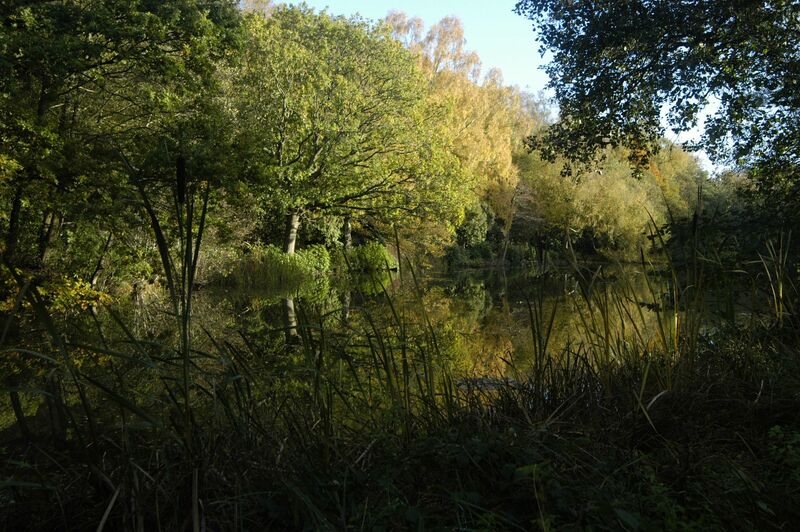 He designed over 170 parks for estates, many of which still survive in mature form. He was nicknamed “Capability” because he would tell his clients that their property had “capability” for improvement. 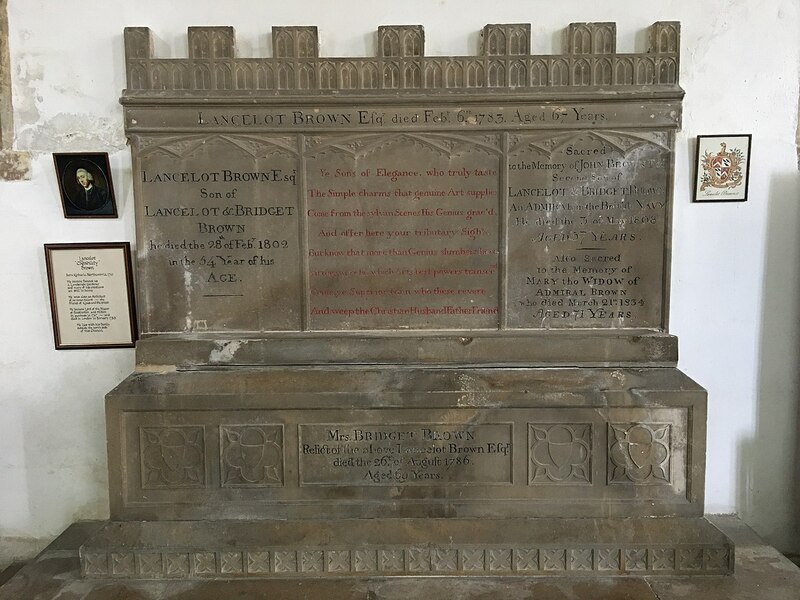 Brown was the fifth child of a land agent and chambermaid, born in the village of Kirkharle Northumberland, and educated at a school in Cambo until he was 16. Brown’s father William Brown had been Sir William Loraine’s land agent and his mother Ursula (née Hall) had been in service at Kirkharle Hall. 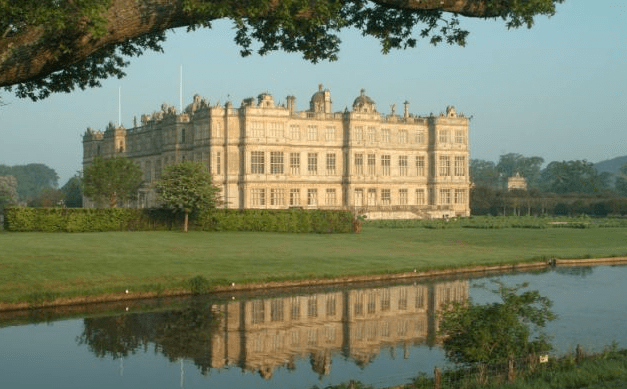 His eldest brother John became the estate surveyor and later married Sir William’s daughter. Elder brother George became a mason-architect. After school, Brown worked as the head gardener’s apprentice in Sir William Loraine’s kitchen garden at Kirkharle Hall until he was 23. 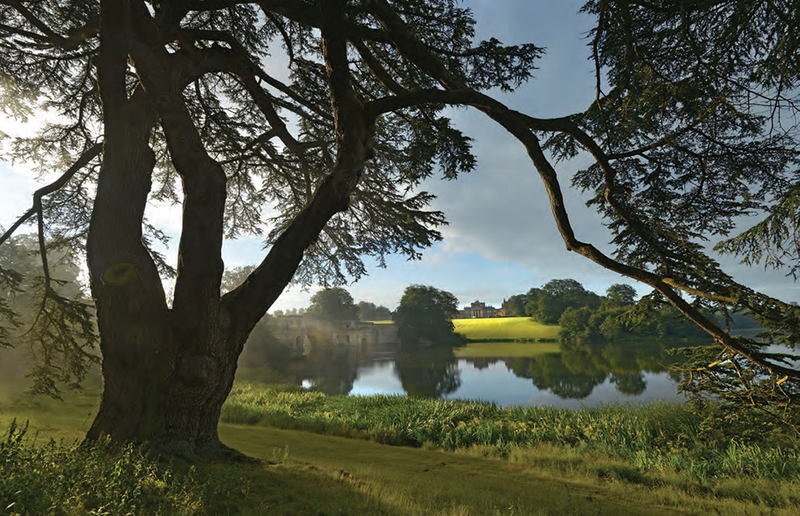 In 1739 he moved south to the port of Boston in Lincolnshire, then to Kiddington Hall in Oxfordshire where he received his first landscape commission for a new lake in the park. 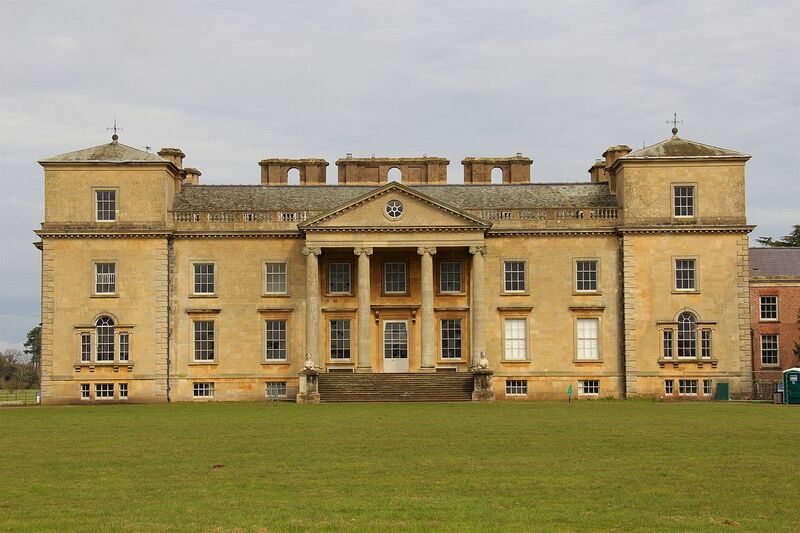 He then moved to Wotton Underwood House in Buckinghamshire, seat of Sir Richard Grenville. The castle is enchanting; the view pleased me more than I can express, the River Avon tumbles down a cascade at the foot of it. It is well laid out by one Brown who has set up on a few ideas of Kent and Mr. Southcote. 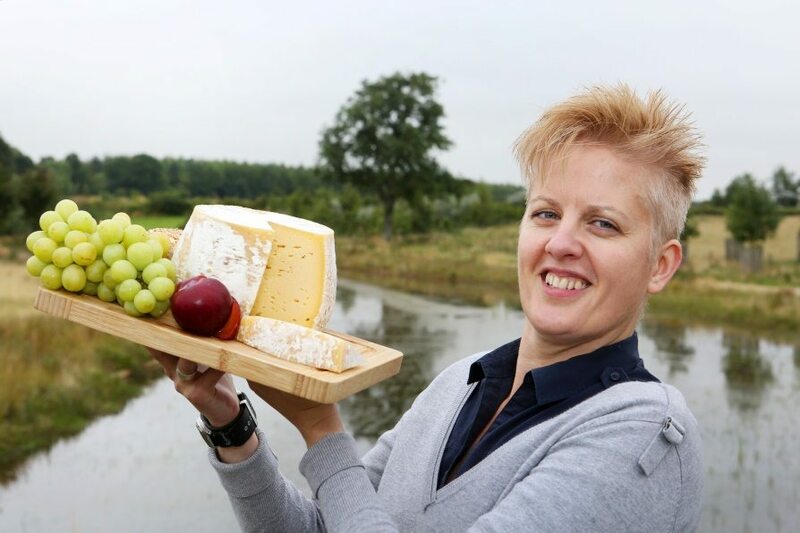 By the 1760s, he was earning on average £6,000 (equivalent to £753,000 in 2016) a year, usually £500 (equivalent to £62,700 in 2016) for one commission. As an accomplished rider he was able to work fast, taking only an hour or so on horseback to survey an estate and rough out an entire design. In 1764, Brown was appointed king George III’s master gardener at Hampton Court Palace, succeeding John Greening and residing at the Wilderness House. In 1767 he bought an estate for himself at Fenstanton in Huntingdonshire from the Earl of Northampton and was appointed High Sheriff of Cambridgeshire and Huntingdonshire for 1770, although his son Lance carried out most of the duties. 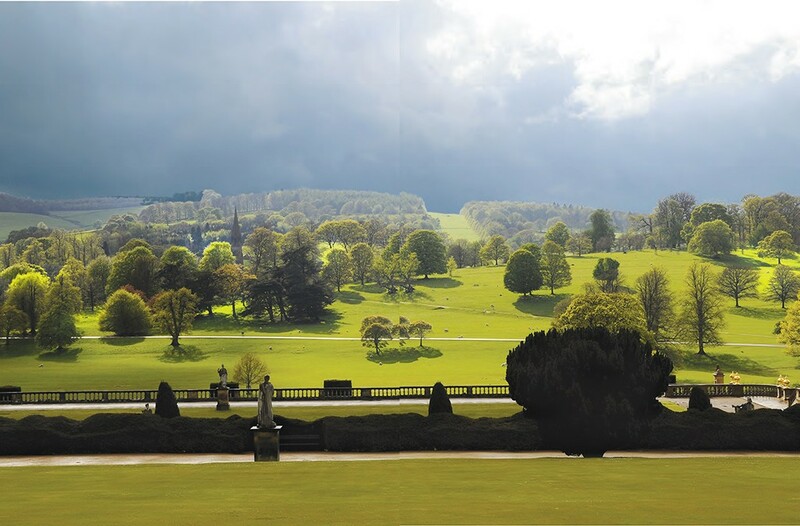 It is estimated that Brown was responsible for over 170 gardens surrounding the finest country houses and estates in Britain. 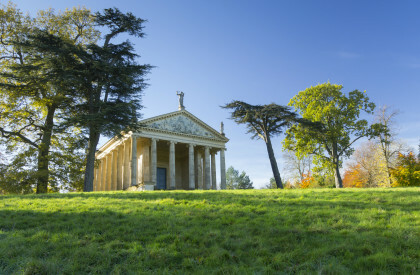 His work still endures at Croome Court (where he also designed the house), Blenheim Palace, Warwick Castle, Harewood House, Appuldurcombe House, Milton Abbey (and nearby Milton Abbas village), in traces at Kew Gardens and many other locations. His style of smooth undulating grass, which would run straight to the house, clumps, belts and scattering of trees and his serpentine lakes formed by invisibly damming small rivers, were a new style within the English landscape, a “gardenless” form of landscape gardening, which swept away almost all the remnants of previous formally patterned styles. His landscapes were at the forefront of fashion in his day. 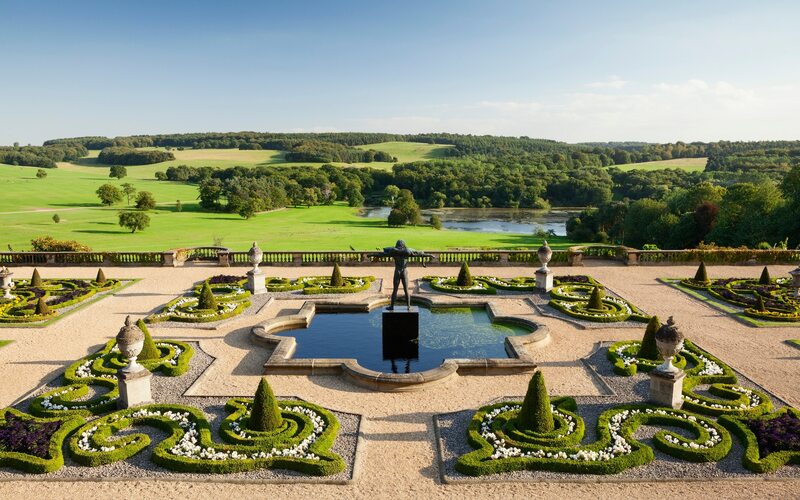 They were fundamentally different from what they replaced, the well-known formal gardens of England which were criticized by Alexander Pope and others from the beginning of the 18th century. Starting in 1719, William Kent replaced these with more naturalistic compositions, which reached their greatest refinement in Brown’s landscapes. judicious manipulation of its components, adding a tree here or a concealed head of water there. His art attended to the formal potential of ground, water, trees and so gave to English landscape its ideal forms. The difficulty was that less capable imitators and less sophisticated spectators did not see nature perfected… they saw simply what they took to be nature. Brown’s essays in the field of architecture were a natural outgrowth of his unified picture of the English country house in its setting. Brown’s work as an architect is overshadowed by his great reputation as a designer of landscapes. Brown’s first country house project was the remodeling of Croome Court in Worcestershire, (1751–52) for the 6th earl of Coventry, in which he most likely followed sketches by the gentleman amateur Sanderson Miller. Fisherwick in Staffordshire, Redgrave Hall in Suffolk, and Claremont, Surrey, were classical, while at Corsham his outbuildings are in a Gothic vein. Gothic stable blocks and decorative outbuildings, arches and garden features constituted many of his designs. 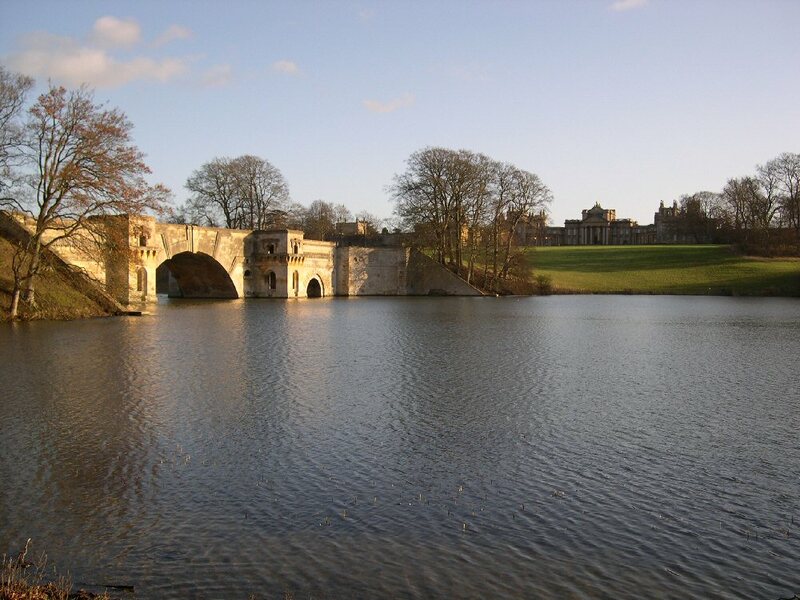 From 1771 he was assisted in the technical aspects by the master builder Henry Holland, and by Henry’s son Henry Holland the architect, whose initial career Brown supported; the younger Holland was increasingly Brown’s full collaborator and became Brown’s son-in-law in 1773. Brown’s reputation declined rapidly after his death, because the English landscape style did not convey the dramatic conflict and awesome power of wild nature. The landscapes lacked the “sublime” thrill which members of the Romantic generation (such as Richard Payne Knight and Uvedale Price) looked for in their ideal landscape. During the 19th century he was widely criticized, but during the 20th century his reputation rose again. In 1768 he purchased the manor of Fenstanton in Huntingdonshire in East Anglia for ₤13,000 from Lord Northampton. 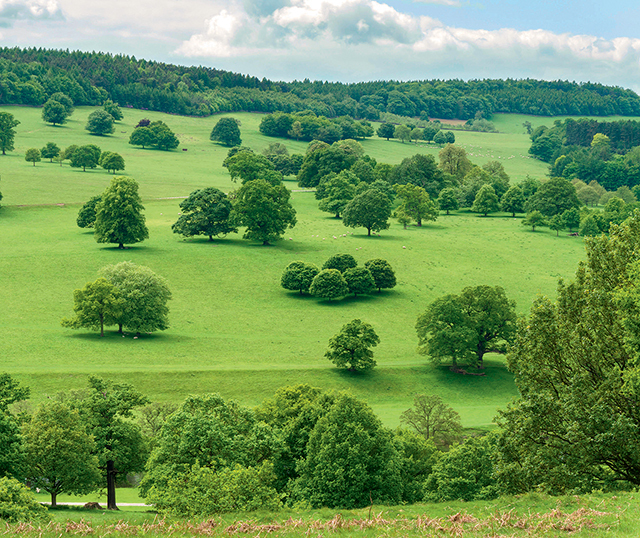 This came with two manor houses, two villages and 2,668 acres of land. The property stayed in the family until it was sold in lots in 1870s and 1880s. Ownership of the property allowed Brown to stand for and serve as High Sheriff of Huntingdonshire from 1770 to 1771. He continued to work and travel until his sudden collapse and death on 6 February 1783, on the doorstep of his daughter Bridget Holland’s house, at 6 Hertford Street, London while returning after a night out at Lord Coventry’s. Horace Walpole wrote to Lady Ossory: “Your dryads must go into black gloves, Madam, their father-in-law, Lady Nature’s second husband, is dead!” Brown was buried in the churchyard of St. Peter and St. Paul, the parish church of Brown’s small estate at Fenstanton Manor. He left an estate of approximately ₤40,000, which included property in Cambridgeshire, Huntingdonshire and Lincolnshire. Brown sent two of his sons to Eton. One of them, Lancelot Brown the younger, became the MP for Huntingdon. His son John joined the Royal Navy and rose to become an admiral.